Dramatic photos show the roof of the car completely crushed by the metal object. 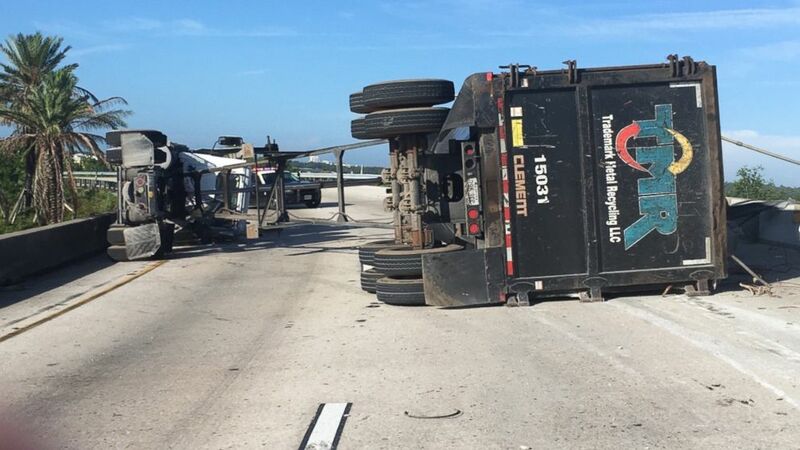 According to the Florida Highway Patrol, the truck loaded with scrap metal was traveling westbound from the State Road 528 exit ramp onto Interstate 4 in Orange County on Saturday morning when its driver lost control and struck the guardrail. The truck flipped over, causing a large metal object it had been carrying to fly off the overpass and fall directly on top of a vehicle below that was exiting Interstate 4. The scrap metal smashed in the roof of the car on the driver's side, authorities said. 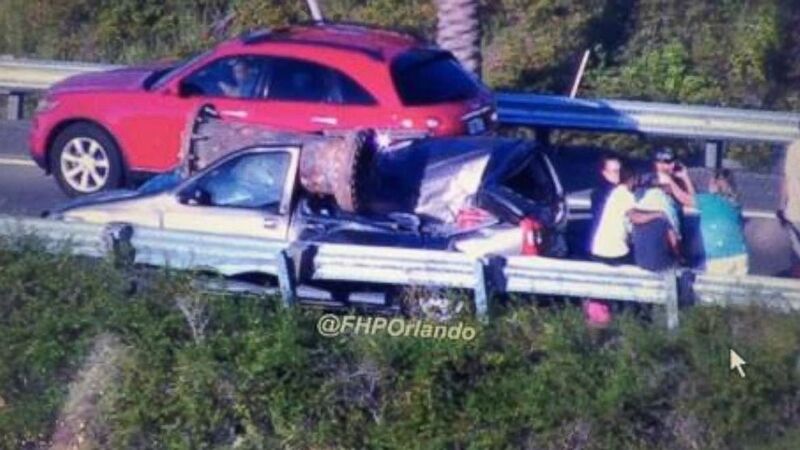 But the driver, 36-year-old Jesus Armando Escobar of Orlando, miraculously survived and suffered only minor injuries. The outcome would have been different had the object landed a foot in the other direction, authorities said. Escobar's wife, Aricelli, told ABC News her husband is "blessed to be alive." "He's a father to three small children and he's our miracle," she said in a statement. Dramatic photos from the scene show the overturned truck and the force of the scrap metal's impact. (Courtesy Florida Highway Patrol) A man survived after a large piece of scrap metal fell from a truck that lost control and overturned on a highway, crushing his vehicle under the overpass, Orange County, Fla., July 15, 2017. 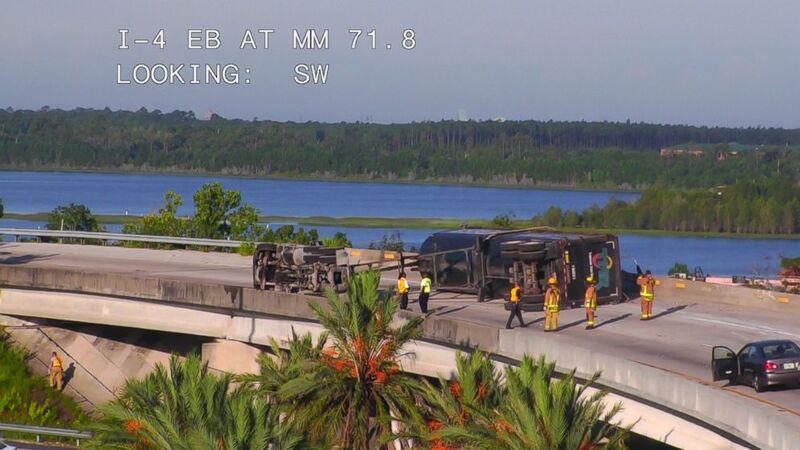 The driver of the overturned truck, 33-year-old Antonio Santiago Wharton of Kisimmee, also suffered minor injuries and was ticketed for careless driving, according to the Florida Highway Patrol.